Summer Rates: $150 - $459 Per night, please check for current rates in our reservation system. We are proud to offer one of the best rooms in town, tastefully decorated with cherry wood, rich leather & fine linens. The main room features a large living room with an efficiency kitchen, fireplace, large screen TV, leather couches and a bay window overlooking the landscaped grounds for our pampered guests who demand the very best. 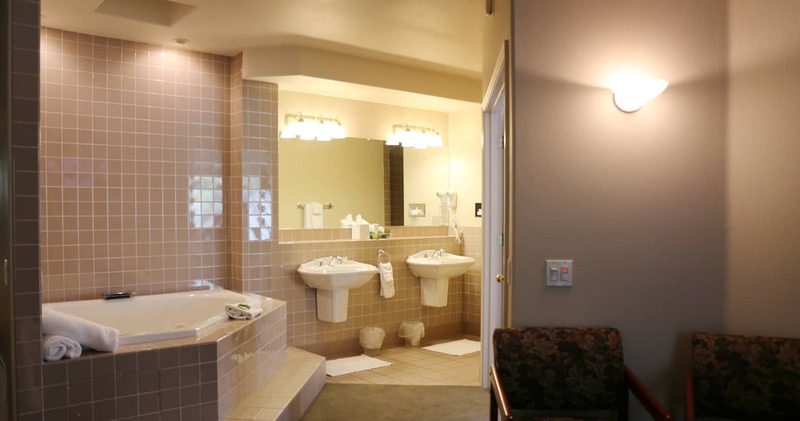 The Coastal Suite represents our effort to provide some of the finest accommodations in the Rogue Valley. The front room features a leather sofa and matching chair, large flat screen TV, and an efficiency kitchen with table and chair set. The smartly appointed bedroom is separated from the bath area by a fabulous whirlpool tub for two. A second large flat screen TV may be enjoyed from the king sized bed as well as the tub. Like the Coastal Redwoods that may be observed from picture windows in both rooms, our Coastal Suite is awe inspiring and will delight the most discriminating guest. Surrounded by a waterfall and exquisite landscaping, this family suite features a king size bed in the main room and two queen beds in the second room. Separate bathrooms lead to a shared tub-shower. The main room also includes seating for two and a flat screen television. An efficiency kitchen allows for family meals around the dinner table. 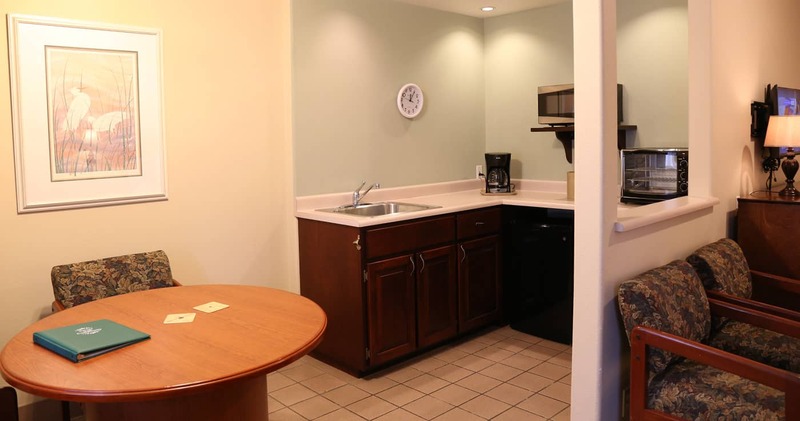 The newly remodeled Redwood Suite is an oversized room, complete with an efficiency kitchen, and Whirl Pool Tub. Enjoy a King sized bed and flat screen tv. Look out to the gardens from your table for two. 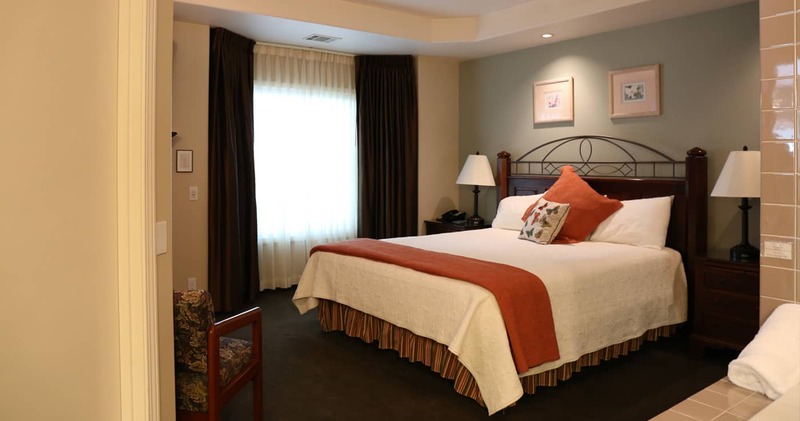 Call to find out about our available adjoining room with 2 queen beds and its own separate bathroom 888.535.8824. The Sequoia Suite is an oversized room, complete with efficiency kitchen, and Whirlpool Tub. Enjoy a king sized bed and quiet workspace. Look out to the gardens from your table for two. 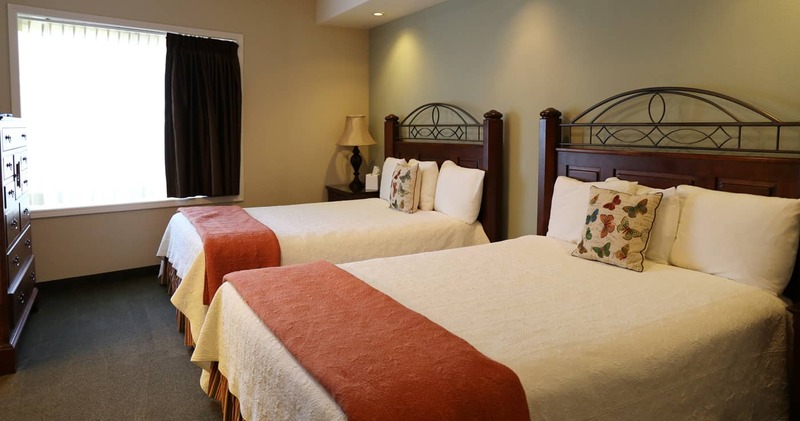 Call to find out about our available adjoining room with 2 queen beds and its own separate bathroom 888.535.8824. 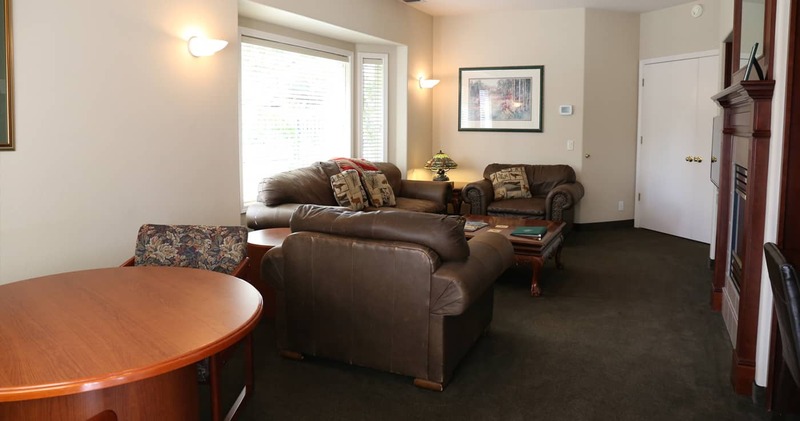 Grants Pass is nestled between mountains that can be observed from the second floor view suites. Room 1241 opens onto a waterfall below that offers a sensual experience. 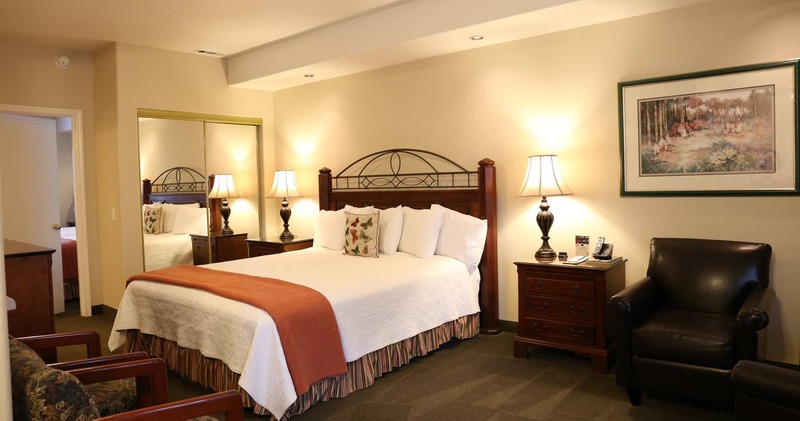 The Mountain View Suite features a dual fireplace, whirlpool tub and efficiency kitchen.